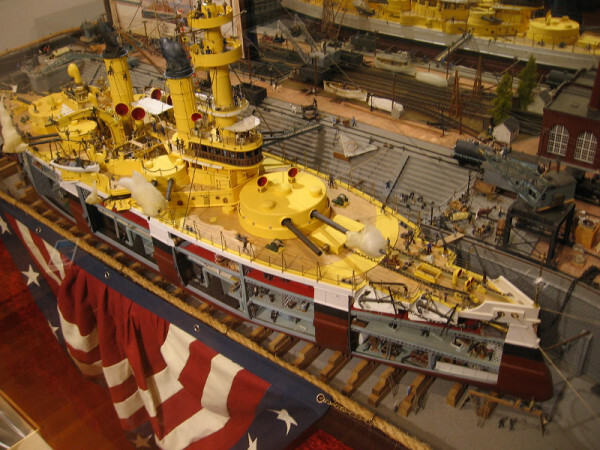 A fine exhibit and publication about model ship building! What’s going on aboard the San Diego based sistership of our own ferryboat home? 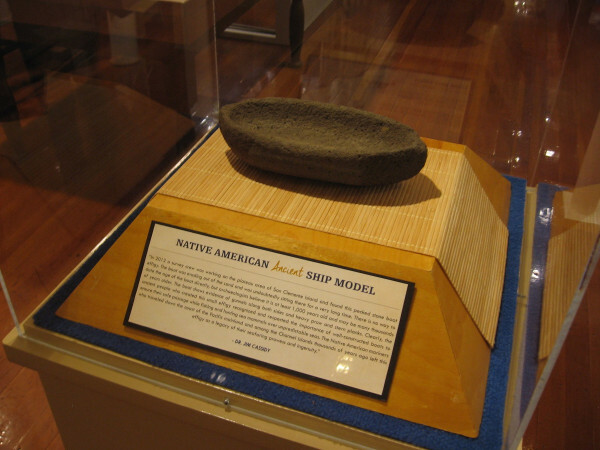 Take a look at this great looking exhibit about ship modeling. What a great idea – just what ship modeling needs! This blog post was found and re-blogged at Ages of Sail (http://blog.agesofsail.com), where we picked up on it. Apparently, this exhibit is still going on, but no information was available on how long it will continue. One source at the museum thought it would be until November. An amazing ship model by artist Joe Frangiosa, Jr. One of many fantastic examples in an extensive, special exhibition at the Maritime Museum of San Diego. The Maritime Museum of San Diego currently has an exhibit that’s a lot of fun. It concerns collecting model ships and model ship building! Anyone interested in the hobby or nautical history in general should check it out! I took a few photos to provide just a taste of what you’ll see. Bring your kids! They’ll love it! 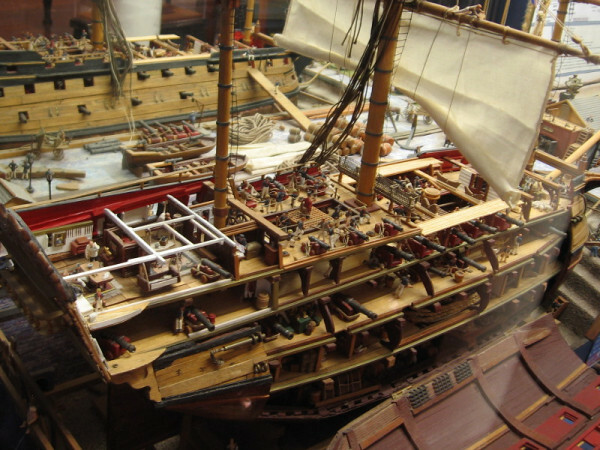 Detailed model of a 74 gun two-decker British Ship of the Line, circa 1800. 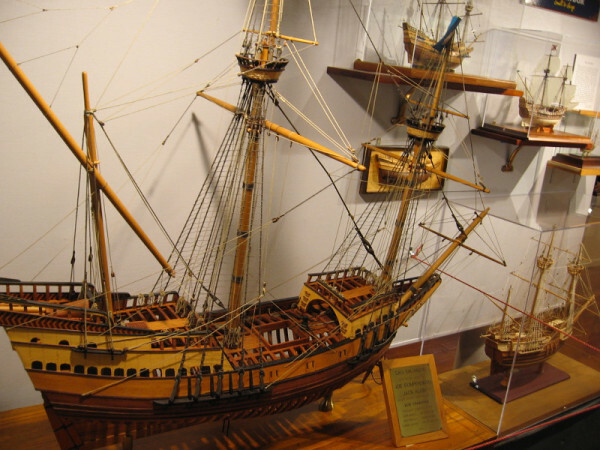 By artist Joe Frangiosa, Jr.
Half a dozen ship models in different scales of the San Salvador, historic galleon of explorer Juan Rodriguez Cabrillo, who discovered San Diego Bay for Spain in 1542. 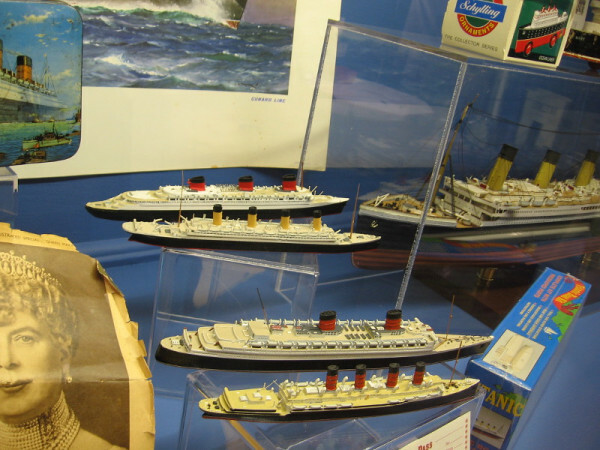 Tiny models of classic cruise ships, including the famous Titanic.